Enrolling in a beauty school will offer you the opportunity of developing important skills that will help turn your talent, creativity, and passion into a profit-making career. It is important that you take your time and consider other factors before choosing a beauty school since it will be an investment meant to shape your career for years to come. 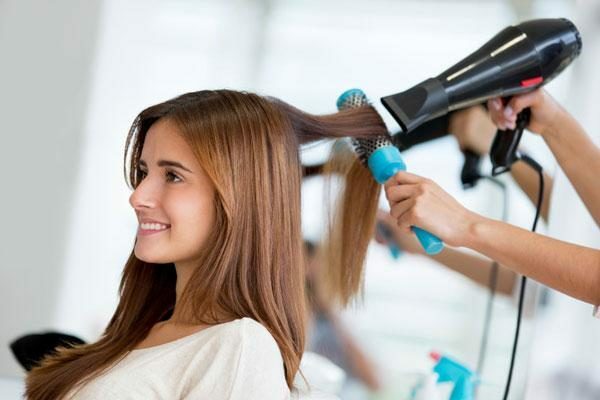 Choosing the wrong school for your interest and talent will only leave you frustrated while picking the right school will help you in starting a rewarding beauty career in the hairstyling industry. It is advisable that you first visit different schools since it will help you understand what programs they offer, provide you with the opportunity of asking questions and meeting students and instructors. 1. Is the school accredited? Being accredited means the school has met the minimum standards set for serving students. Enrolling in an accredited hair school in Hamilton will increase your chances of being employed immediately after graduation. 2. Is the school offering financial assistance? There are accredited beauty schools that offer financial assistance to help in paying cosmetology program expenses for students who qualify. Financial assistance can include payment plans, grants, loans, and scholarships. 3. What Type of Programs Does the School Offer? There are schools that offer some or all of the beauty programs, such as makeup, waxing, cosmetology, nail care, esthetics, skin care and cosmetology instructor training. Enrolling in a hair school in Hamilton that offers a variety of programs is great for students who are not sure of what interests them most in the beauty industry. In case you know where your passion lies, it is recommended that you enroll in a school that offers the specific program you’re interested in. 4. What teaching style does the school use? You need to be on the lookout on how instructions are delivered when touring a school offering courses on beauty. Check if the instructors make themselves available one on one with the students, assisting them whenever they are in need and helping them in perfecting techniques. Check the quality of lectures being offered, if there are homework assignments, textbook readings and hands-on practice on real people and mannequins. 5. How is the Learning Environment? You should feel welcomed whenever you tour the school. Check if the students and lectures are friendly and if the hair school in Hamilton encourages its students to express their creativity. It is important that you work with people who will support you in your mission since it will make a big difference. Never be afraid to ask questions whenever you are exploring the different beauty schools. In fact, you should ask questions until you are comfortable with the choice you have made. There are several beauty schools in Hamilton that claim to offer excellent services. This is a marketing strategy that most aspiring learners who do not take their time in doing in-depth research fall for only to regret at a later time.